Every one of us has a busy day. We run around and try to complete the tasks of the daily routine. And at the and of it, we realize we don’t spare much time for ourselves. We know that you need a break. And a method to clear your mind. This game is designed for that. You will sit down and play it. You will first play the game, collect the smiley faces. Every level has beautiful scenery to help you get relaxed. And while collecting the balls you will recognize your daily worries will clear up. Then you will meet with our wise characters, Ella the wood nymph, Chuck the old sailor, and the secret ancient character you will meet at the end of the game. They will feel your worries and answer your questions with their wisdom and sometimes with their sense of humor. 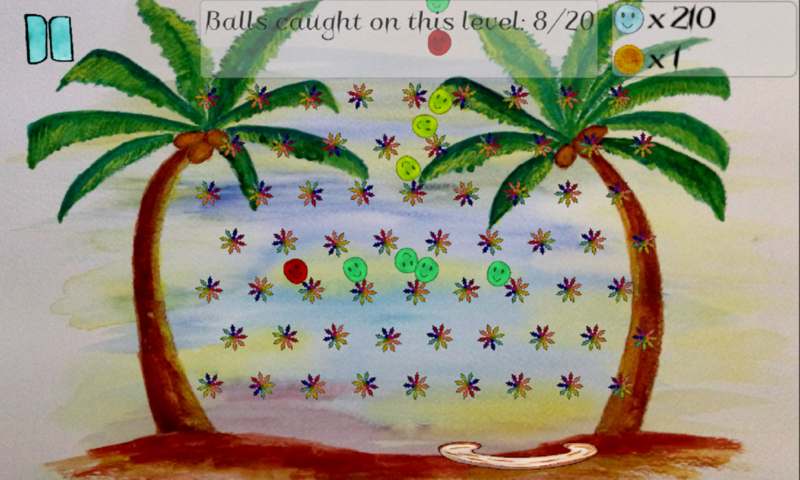 This is a game that aims touch your inner self. It is not about collecting balls, it is about making you smile. Collect the smiley faces and don’t forget to smile. Collect the balls with the bucket. Open up every leaf level one by one, and eventually you will reach the apple levels. Every leaf page with an apple has a bonus level that can give you a fortune coin. When you have a coin, you can play one of the apple games either with Ella, Chuck, or the secret character. Once you get a coin and start your apple level, first concentrate on your question before you play the apple level. 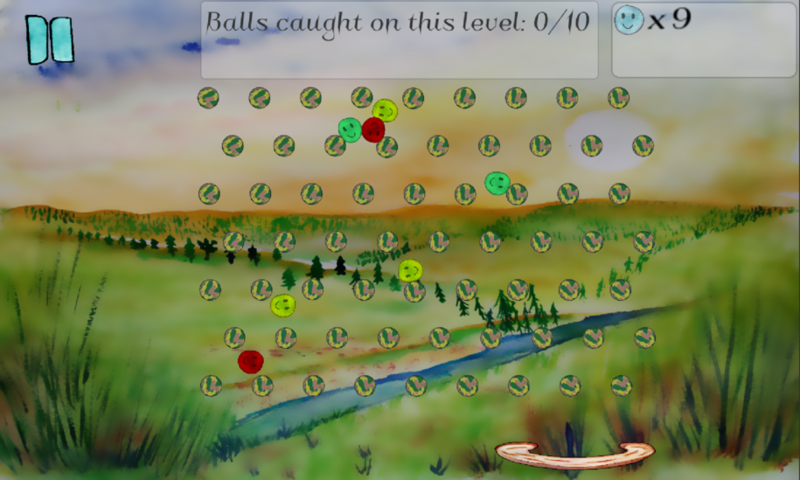 Then collect only one ball. Don’t forget, only one. Nothing more. Then whichever character you chose will tell you what they think. Listen them carefully. They do know what they are talking about. 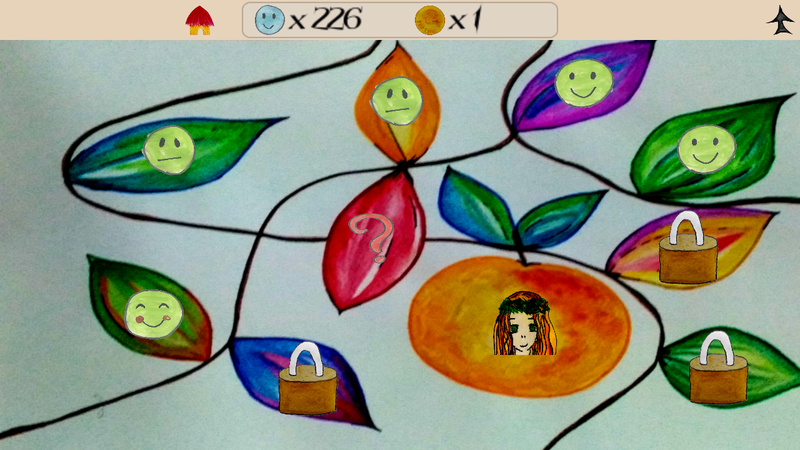 You can alternatively convert your smiley faces to coins, or if you want to support our game or get additional coins, watch an advertisement. Here is some information about the characters. Born in the ancient Anatolia thousands of years ago, Ella observed civilizations come and go. She lived with people all her life and now she is ready to share her wisdom. Clear your mind and ask her a question. She will tell you what you need to hear. Chuck is from an old fishing town called Sailors Creek. He spent his life on the sea under the sun. He saw the rough side of life, but he never gave up joking and making people laugh. His bittersweet sense of humor will make you smile and think. That one is for you to find out. We hope you enjoy our game. We wish you the best. Screenshots are from beta versions. There are no guarantees that the game will look exactly as pictured. This game is only for entertainment purposes. Download the iOS version here! Download the Android verson here! © Copyright 2018 by Jethro.